San Diego is a famously laid back city in Southern California, known for its surfing, golden beaches, perfect weather and easy going vibes. It’s the USA’s eight largest city, but feels more like a series of towns, all with their own unique character. It often makes the cut for lists of the USA’s most desirable cities, and it’s the kind of place that people go to for a few days and end up dreaming of staying for longer. This post is a San Diego itinerary for first timers who want to get beneath the skin of the city and go a little beyond the major sites. It’s our pick of the best things to do in San Diego in three days. We’ve also written a full California road trip itinerary if you’re planning a more extensive California trip. 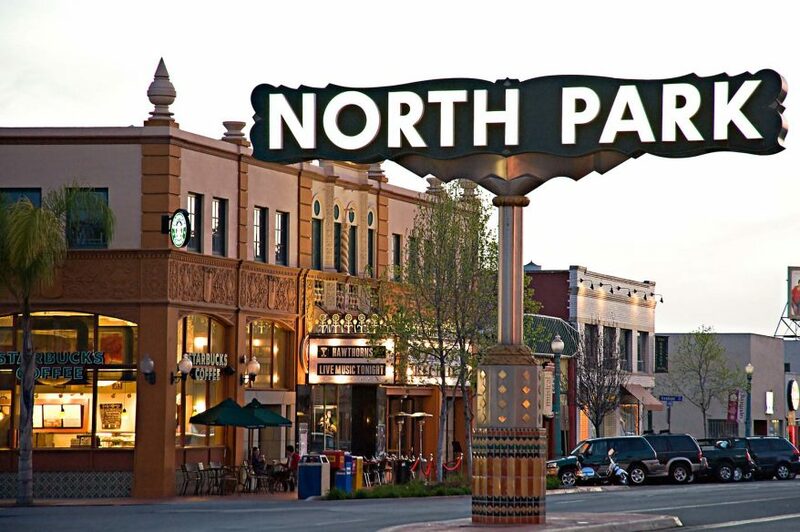 North Park Thursday Market – organic produce, local artisans and live music at this vibrant outdoor farmers’ market in a hip part of town. Get cakes and sweet treats at Sugar and Scribe in La Jolla, and don’t miss the doughnuts at Donut Bar in downtown San Diego. Holsem Coffee is a classic hipster coffee shop, serving inventive flavours. Don’t miss the banana bread cold brew. Our favourite Mexican food was at Puesto in Seaport Village and Tocaya Organica in the Gaslamp Quarter. We loved going for a hike in Torrey Pines State Reserve. The views are spectacular. 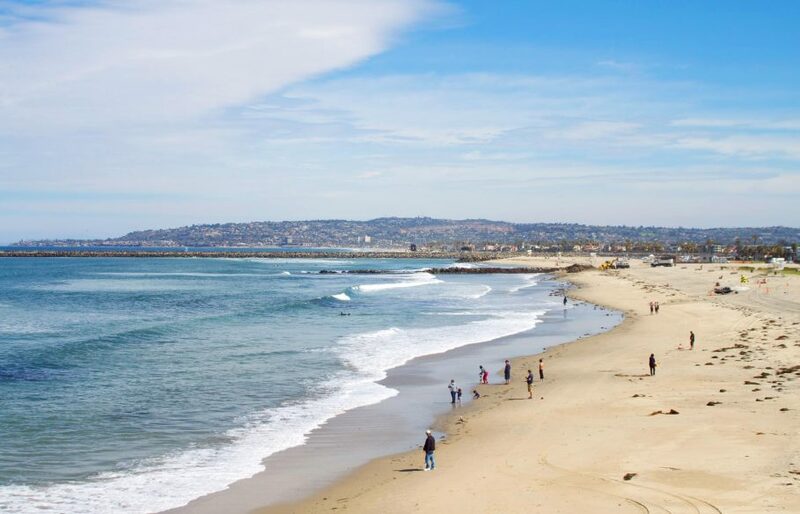 La Jolla Shores is a gorgeous, wide sandy beach, ideal for families. 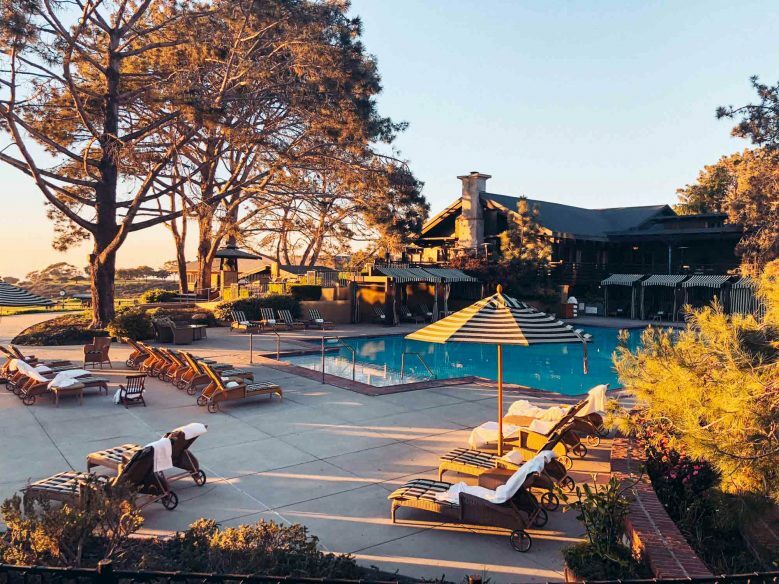 For the ultimate, luxurious treat, spend the night at The Lodge at Torrey Pines, making use of the spa and drinking in the ocean views. The suites have fireplaces in the bathrooms! 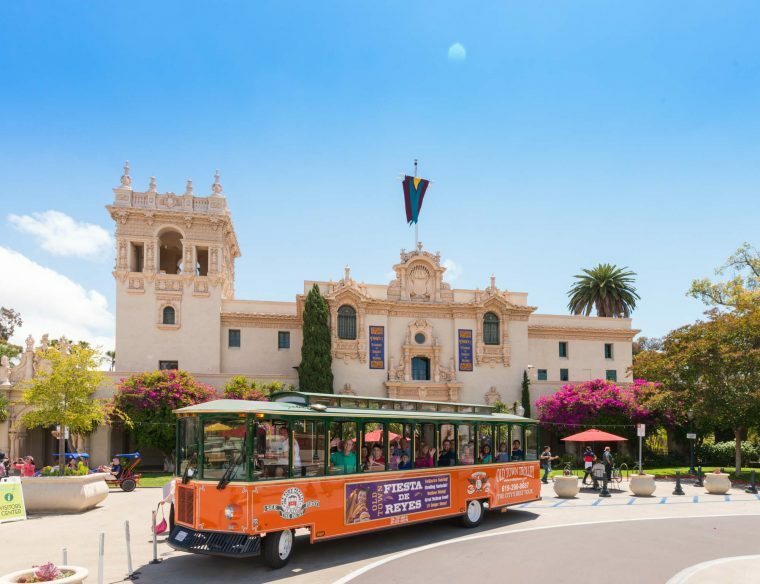 The giant 1,200-acre Balboa Park is home to over 15 museums, including the Natural History Museum; Museum of Man; San Diego Museum of Arts; and the world-famous San Diego Zoo. The Japanese Friendship Garden is also a beautiful place to spend some time. You could easily spend a whole day hopping from museum to museum and spending time in all the green spaces. For a treat, head to The Prado for lunch and try to get a seat on the outdoor terrace. Or for something more casual, try the Cafe in the Park. Balboa Park is filled with some of the best of what to see in San Diego. 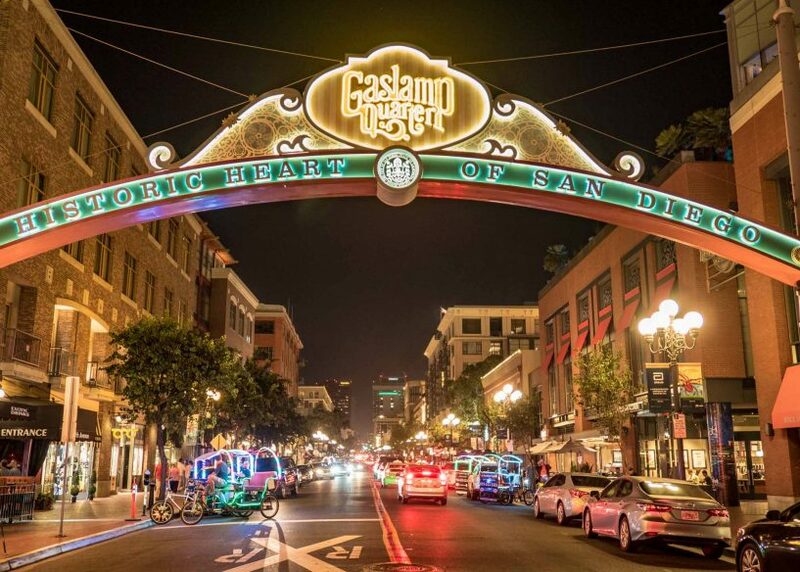 In the evening, head downtown to the city’s Gaslamp Quarter, the centre of San Diego’s nightlife scene, famous for its many rooftop bars. It’s also home to lots of shops, restaurants, theatres, galleries and concert venues. 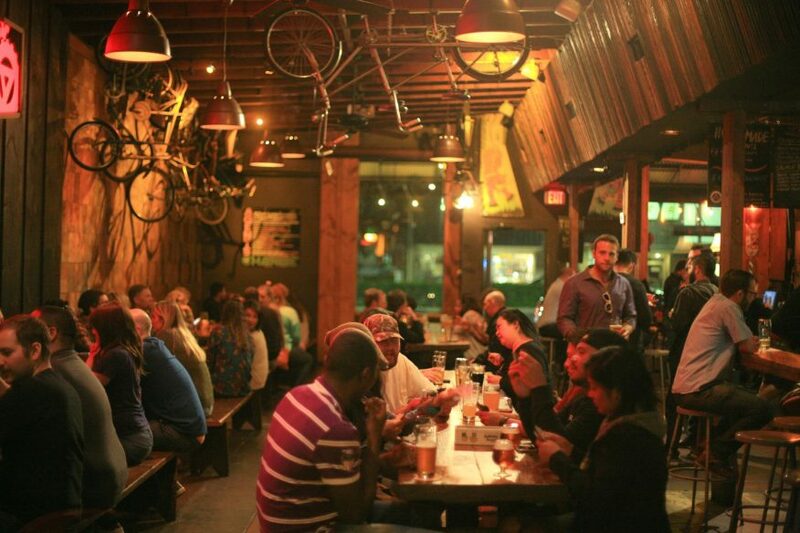 San Diego is well known for its craft beer scene and this is a good place to try some at stalwarts including Karl Strauss and Monkey Paw Brewery. For food, there’s cuisine to suit every taste. Favourites include: Jsix at The Kimpton; Biga; and Tocaya Organica. And don’t miss Puesto, which is just outside the Gaslamp Quarter, and is home to some of the best Mexican food we had in all of California. And then there’s Donut Bar, which has some truly excellent doughnuts – including the totally OTT pop tart option, which has a pop tart inside a donut! San Diego is also well known for its seafood, which. as a vegetarian, isn’t something I know anything about, so here’s a guide to the best fish tacos in San Diego by blogger The Part-Time Traveller. 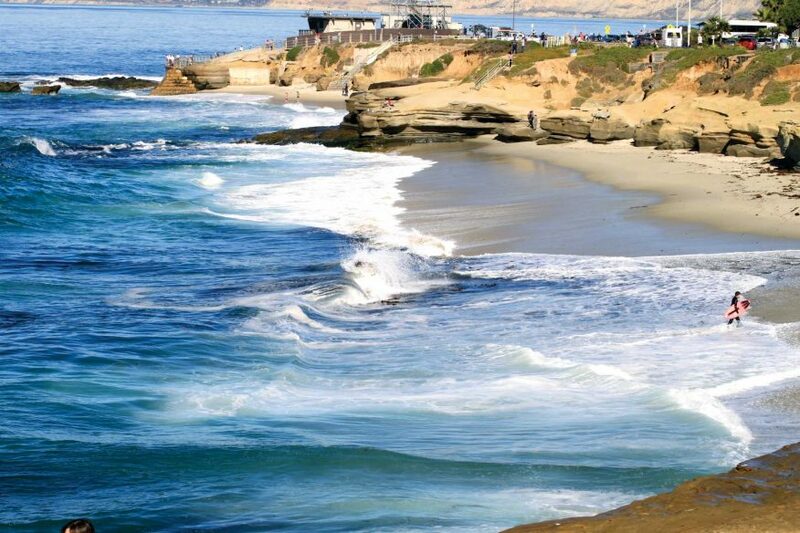 La Jolla (pronounced ‘la hoy-ah’) means jewel and the pretty coastal area is definitely a gem in San Diego’s crown. The dramatic coastline has a selection of beautiful, family-friendly beaches and the village is one of San Diego’s most chi-chi neighbourhoods. 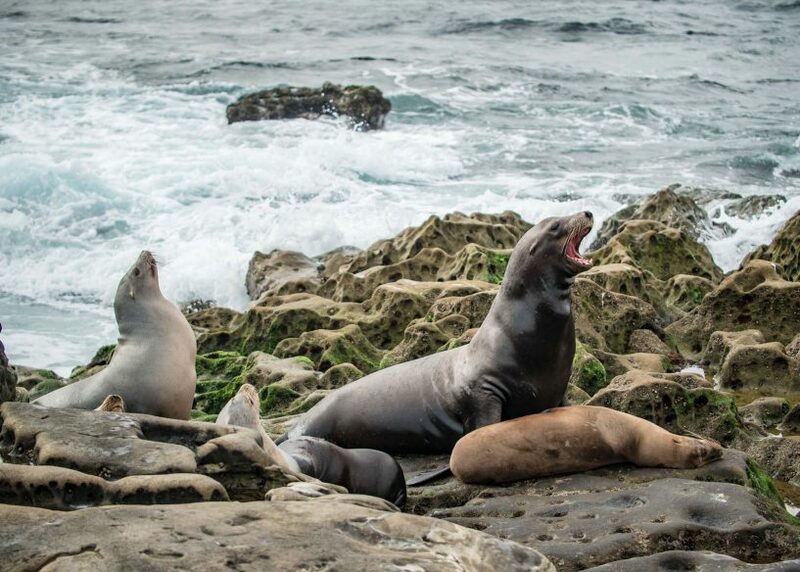 The small but picturesque La Jolla Cove is home to a colony of seals and sea lions, and there’s also a little area called children’s pool, which is ideal for little ones as there’s a concrete breakwater that shields it from the waves. Another family-friendly option is the sweeping La Jolla Shores beach, which has a little park next to it, and a wide sandy beach. You could easily spend a whole day in La Jolla, visiting the beaches and hanging out in the village, but I also recommend taking a trip to the neighbouring Torrey Pines State Reserve. It’s a gorgeous spot beside the ocean with magnificent rugged cliffs where you can follow a series of different hiking trails to suit a variety of different abilities. If you can, spend the night at The Lodge at Torrey Pines, which I talk about in the accommodation section. Even if you don’t stay there, it’s worth a visit for the views and old-world atmosphere. 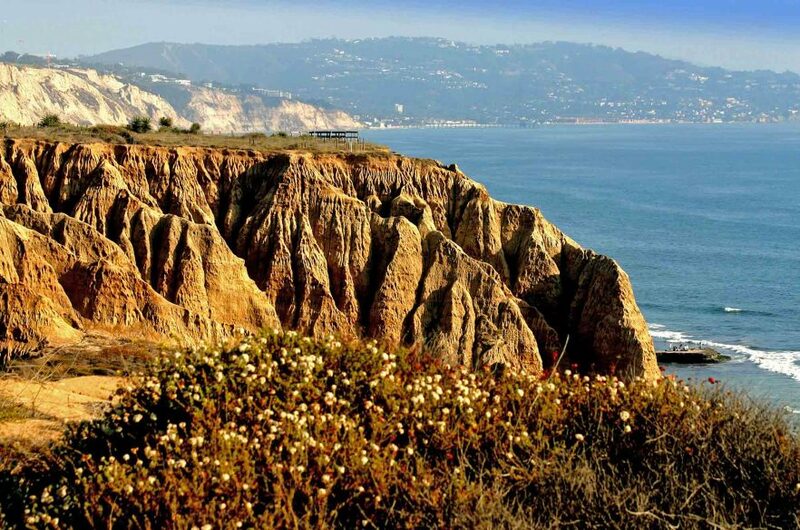 And if you’re into golf, then don’t miss it as it’s right next to the world-famous Torrey Pines golf course. Other things to do in La Jolla include: visiting the Birch Aquarium at Scripps Institute of Oceanography; going whale watching; trying some watersports, such as surfing, kayaking, paddle boarding or snorkelling; or doing some shopping in the village. 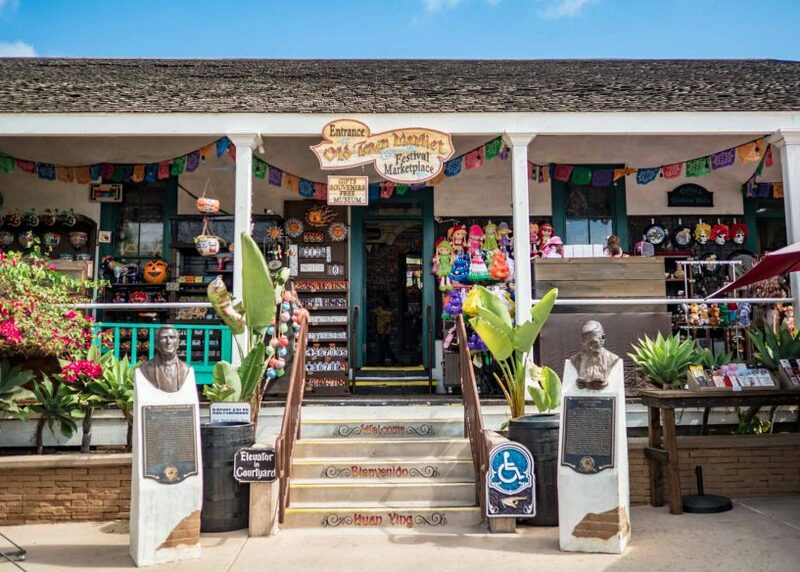 Note that La Jolla Village and Village of La Jolla are two different places – Village of the La Jolla is where you’ll find all the cute boutiques, cafes and restaurants. North Park is a hip neighbourhood, filled with creative boutiques, galleries and hipster coffee shops. It’s also a popular spot for nightlife, and is home to some of the city’s best craft beer bars, including Tiger Tiger Tavern. The North Park Farmers Market is on Thursdays, and don’t miss Holsem Coffee where they serve inventive flavours, such as a banana bread cold brew (so good!). Coronoado is just across the bay from downtown San Diego and is often voted as one of the USA’s best beaches. Catch the ferry from the Embarcadero and spend some time relaxing on the beach and exploring the island, perhaps by renting a bike. 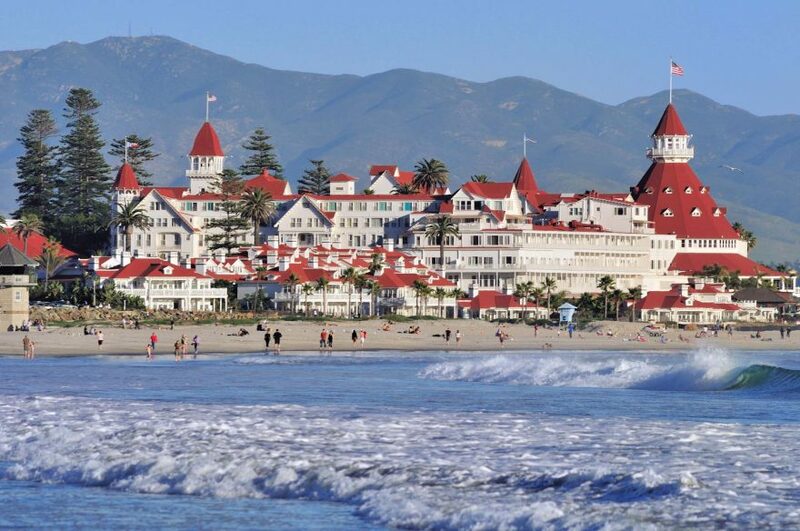 Also pay a visit to the famous Hotel del Coronado, a historic celebrity haunt and the inspiration for the Emerald City in The Wizard of Oz. Old Town San Diego is a a sort of living museum, where you can explore the origins of California while enjoying some of the city’s best Mexican food. It’s all a bit kitsch, but a good place to get to know the area’s history, plus the Mexican food is really good. It’s the site of the first Spanish settlement in the US. 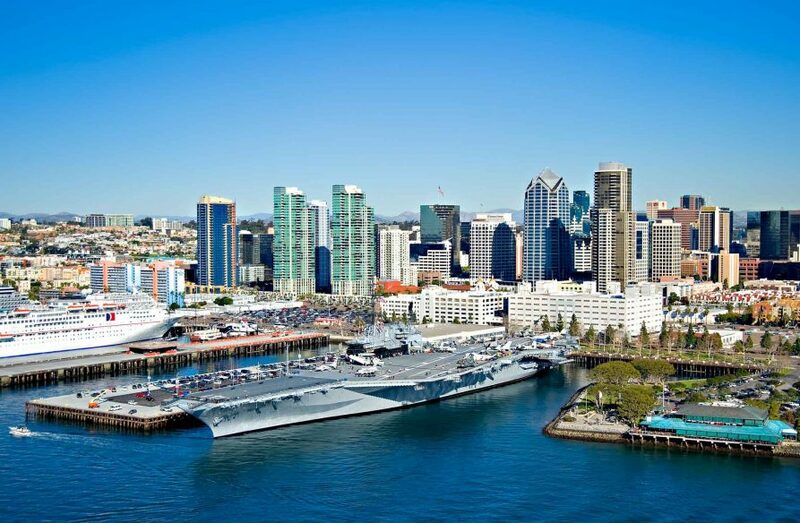 The Embarcadero is an area along the waterfront where you can explore some of San Diego’s top attractions: the Maritime Museum, the USS Midway (a long serving aircraft carrier with 29 restored aircrafts on board) and the Star of India (the world’s oldest active ship). 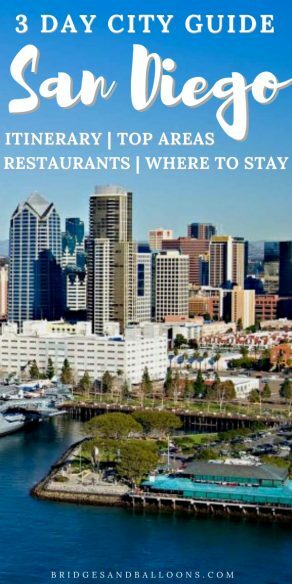 It’s also home to Seaport Village, a collection of shops and restaurants, including our favourite, Puesto, which has amazing Mexican food. The Embarcedero is also where you can hop on a boat for a harbour cruise or some whale watching (between December and April). There are plenty of beaches to choose from in San Diego, but these are a few favourites: Ocean Beach is a traditionally hippy option; Mission Beach is home to the Belmont Park fun fair and amusements; and Pacific Beach is a good place to get started surfing. Depending on your interests, another few key San Diego attractions are: Petco Park baseball stadium; a self-guided craft beer walking tour; catching the sunset at Sunset Cliffs; and visiting the Point Loma lighthouse. Some top tips for planning a trip to San Diego. The Lodge at Torrey Pines is something special. The Five Diamond luxury resort overlooks a world-renowned golf course with views of the Pacific Ocean and has a classic, old-world elegance. We were lucky to stay in a suite that had no fewer than three fireplaces – one in the lounge, one on the spacious terrace, and another in the bathroom! It was pure luxury and a wonderful place to kick back and relax, taking advantage of the spa and exploring the nearby state reserve. It’s certainly a treat, but a worthwhile one if you’re celebrating. Rooms start at $329 per night. Book your stay now. 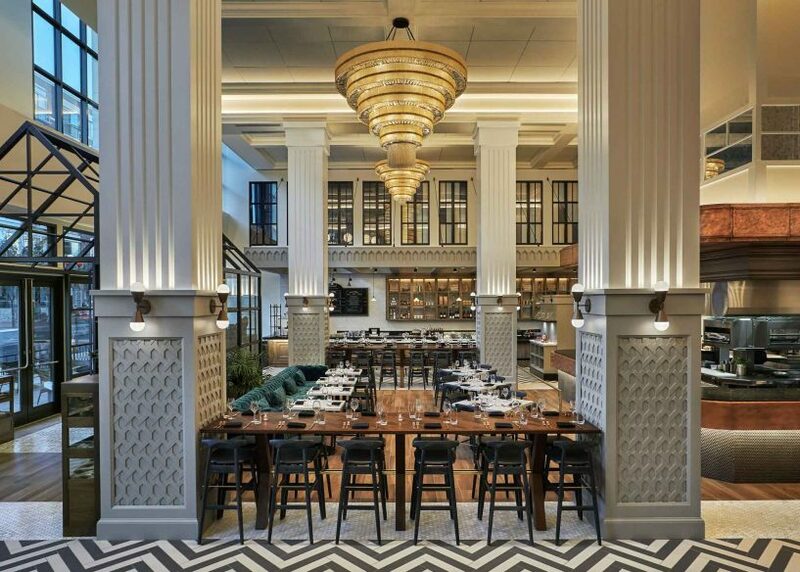 A newly renovated boutique hotel in downtown San Diego, featuring a roof-top pool, popular Mexican restaurant, and the style that the Kimpton hotels are known for. Find the best deals and book your stay now. 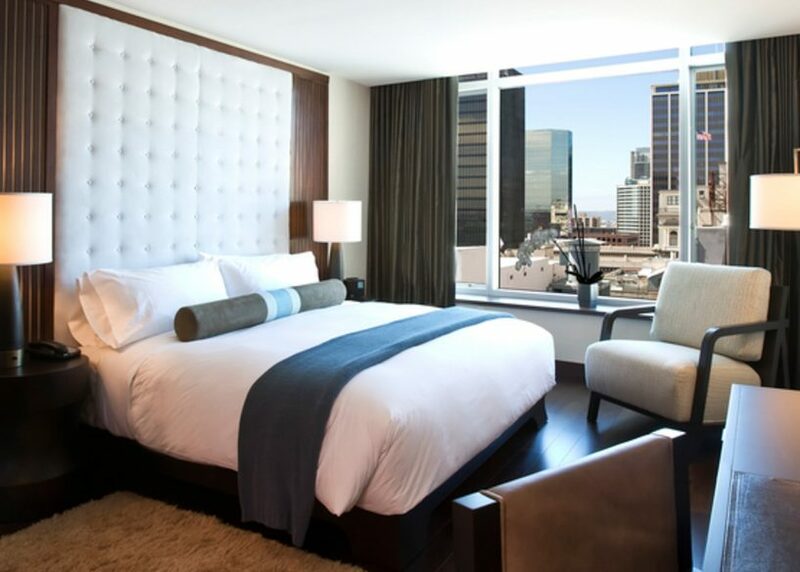 This luxury hotel in the Gaslamp District is one of the finest options among San Diego’s hotels. 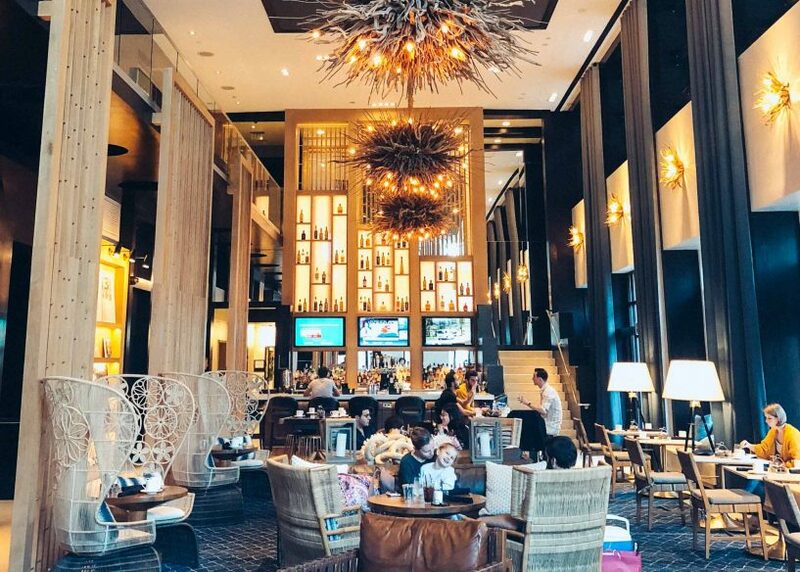 It has a striking design with an impressive lobby and six restaurants and bars to choose from. Rooms start at $340. Find the best deals and book your stay now. If you fancy staying in an apartment, AirBnB has plenty of great options in San Diego. We stayed in Kensington for one night on Halloween, purely because we’d hard that it was one of the best places for trick or treating in San Diego and we wanted the full Amercican Halloween experience. It lived up to the hype and also gave us a taste of local San Diego life. Kensington is a cute one-street village and this AirBnB studio was beautiful, situated in the owner’s garden – she’s a stylist at West Elm, so the place is beautifully put together. The guesthouse starts from $69 per night. Book your stay now (and use this link to get £25 off your first stay). San Diego has good public transport with trolleys and buses (check prices and options for public transport passes here), but you will need a car to explore the beach towns. We recommend using here where we have always found the best deals. Disclosure: Our stay at Torrey Pines and Hotel Republic were gifted to us. Please note that regardless of sponsorship, all opinions are always my own. Read our policy on working with brands here. Photos: Most photos in this post are courtesy of sandiego.org. I had a few camera troubles while we were in San Diego, so my own photos weren’t quite up to scratch. These are the photographer credits, starting at the top: La Jolla Beach (San Diego Tourism); Balboa Park (Old Town Trolley Tours); Gaslamp Quarter (Melanie Stocker); Seal lion at La Jolla (Melanie Stocker); Torrey Pines (San Diego Tourism); North Park (Brett Shoaf); Coronado (San Diego Tourism); Old Town San Diego (Malanie Stocker); Embarcadero (John Bahu); Ocean Beach (Annie Pearson); Tiger Tiger (Tiger Tiger Tavern); Lodge at Torrey Pines (my photo); Hotel Republic (my photo); Hotel Palomar (Hotel Palomar); Pendry Hotel (Pendry Hotel). Check out more of our detailed itinerary posts here.